A student was pepper sprayed Monday Sept. 24. 2012, in the boys bathroom according to Mr. Allen, dean of students. No names or information about the students involved have been revealed but the case is still open. “It is a crime; this is being treated like if the student had a weapon. 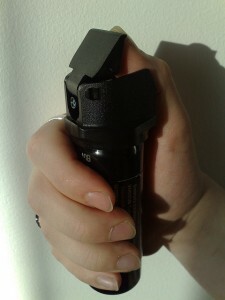 It is surprising that many students do not know pepper spray is a weapon,” said Allen. According to Allen, this is the first time he has dealt with pepper spray incident. The school police officer, who did not give us his name, did not comment on this and gave no information out regarding the students involved.